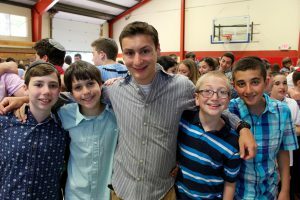 What a wonderful past few days we have had here at Machaneh Yavneh! On Friday, the Kifirim boys hiked up Saddleback Mountain, a fun hike located just minutes away from camp. Today, the girls also did the hike as a great way to start their day! They packed up breakfast and did tfillah (prayer) at the peak, which made for an interesting and new place to daven! Shabbat was filled with ruach (spirit) and lots of yummy food. Although Saturday was July 4th, due to Shabbat observance we pushed off the celebration until today, July 6th. We’ll give you more details about this in the next blog! Even though we are celebrating Independence Day two days late, we did go to the agam (lake) after Shabbat was over to watch some of the fireworks that locals were setting off. While the kids were excited to see some of these, we assured them that Yavneh’s display coming tonight will blow them away by comparison. Yesterday was the 17th of Tammuz, a minor fast day, which commemorates the breaking of the tablets on which Ten Commandments were written, and it is also the day that the Roman siege of Jerusalem breached the city walls. 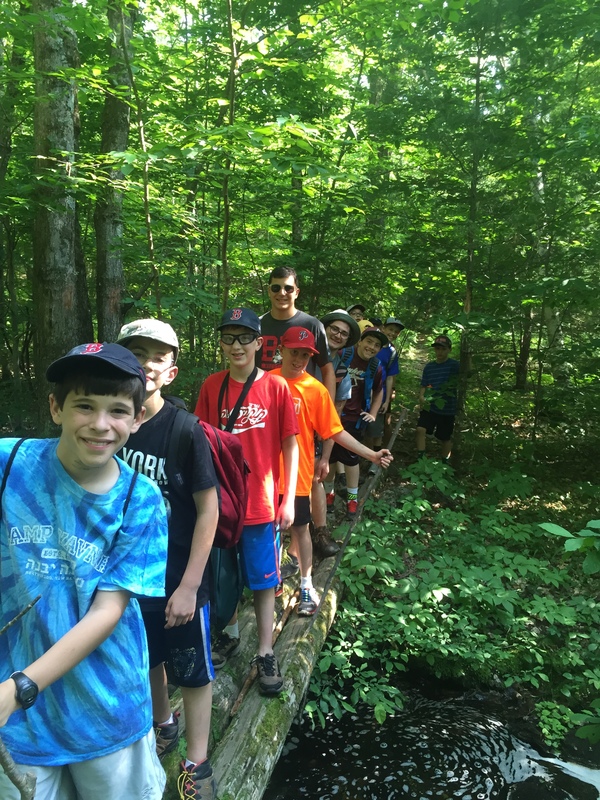 Some of the chanichim (campers) wanted to try out the fast, and we were happy to give them the opportunity to explore a new way to understand these events that the Jewish people went through. We had regular check-ins with all of the fasting campers and made sure that they drank water because it was a sunny day. At the break fast meal of salmon, rice, salad, garlic bread and cheesecake, it was easy to sense the feeling of accomplishment that the chanichim felt at being able to participate in this practice…and it was nice to have a full tummy. This upcoming week is going to be filled with many fun activities, such as a hike up Mount Major (a bit more serious than Saddleback! ), Yom Yisrael, and many other fun things! Stay tuned!